18 percent of men over 18-years-old have had five or more drinks in one day at least once in the past year. Just 52.4 percent of men meet federal physical activity guidelines for aerobic activity. 32.6 percent of men have high blood pressure or are taking prescriptions for hypertension. Therefore, it is not surprising that heart disease is the leading cause of death for men in the United States, with cancer coming in second‑both diseases that have strong connections to lifestyle-based health choices. Get more sleep—Lack of sleep is becoming the nation’s silent killer, contributing to higher risk of a number of diseases including obesity, diabetes, heart diseases and depression. Get moving!—2 ½ hours of moderate activity per week plus strengthening could be the most important thing you do to put yourself on the path for better health. Eat well—Increase fruit and vegetable consumption (half of each meal should consist of fruits and vegetables), cut out red and processed meat and limit sugar, salt, fat and alcohol. 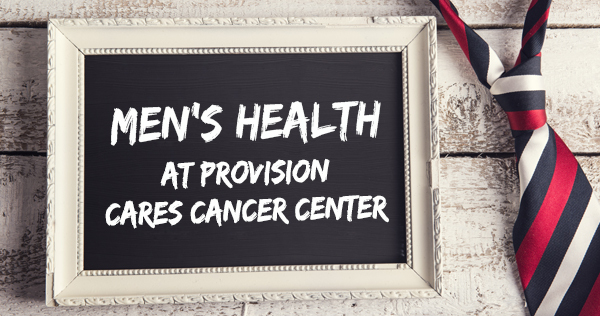 Get checked out—One reason men suffer more health problems than women is they’re less likely to get checkups or visit a doctor when health problems arise. Preventative measures such as PSA testing, colonoscopies and regular lab work checking blood sugar and cholesterol are important to staying on top of your health game.